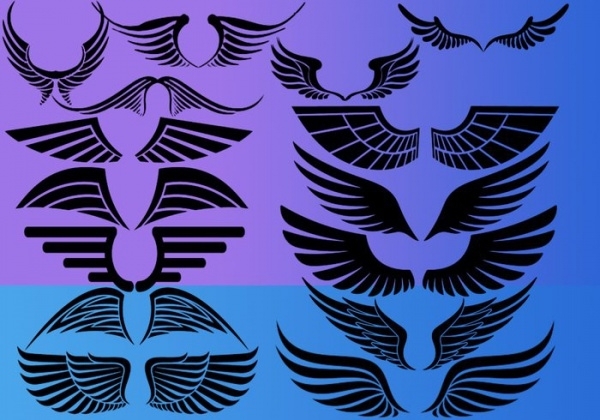 Wings are a great design that is used in a variety of creations in the arena of designing and logo making. There are several Photoshop brushes available they can be downloaded by designers (or) graphic artists to add aesthetic value to their design. 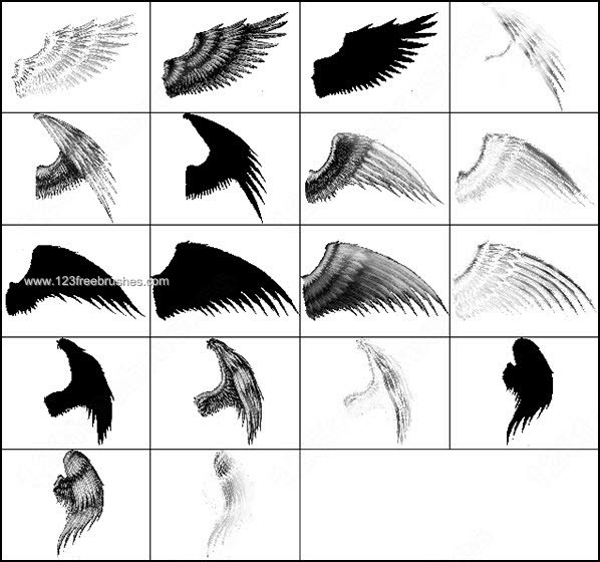 Wings brushes used in a lot of designs and material such as flyer, logo, icons, websites, brochures etc. 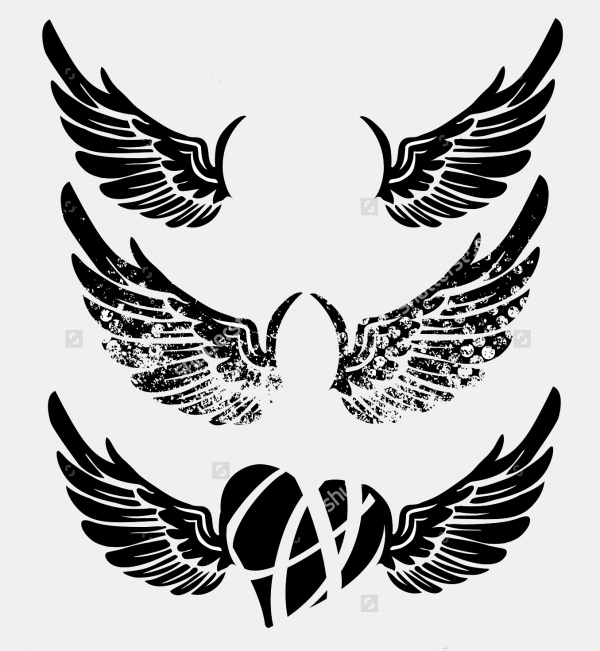 It is a good design for a tattoo as well. You may also check Speckle Brushes. 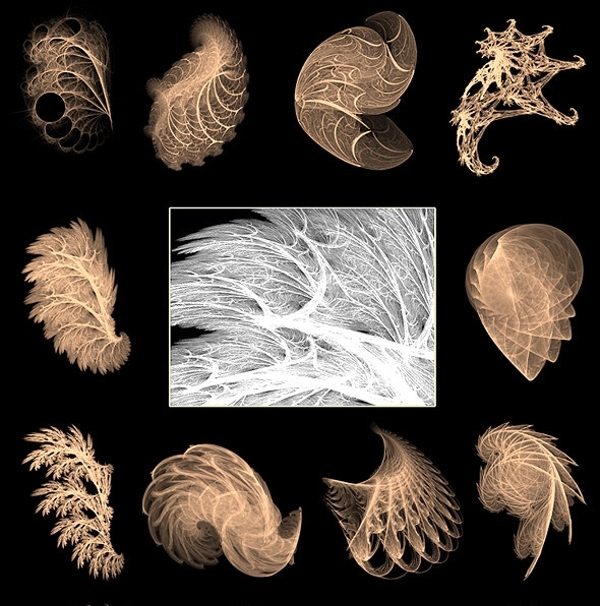 This wonderful brush features a feathered wing that is symbolic of angels. This wonderful design is very creative and neat which lends it a unique style. 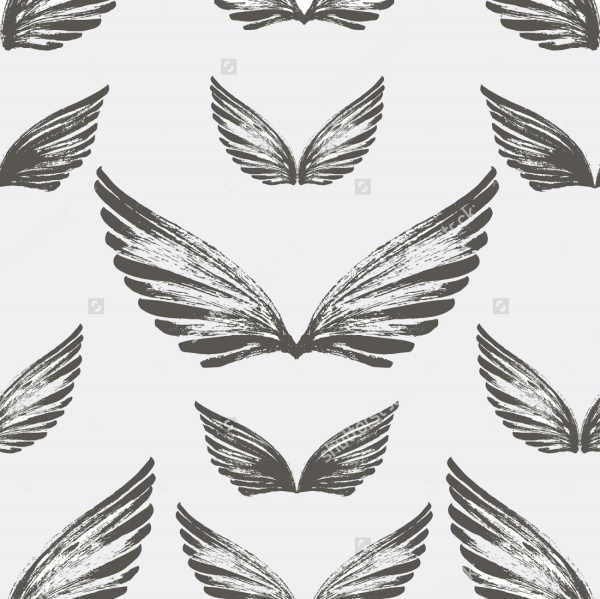 You can download this amazing wing and use it in your designs to impress your audience. 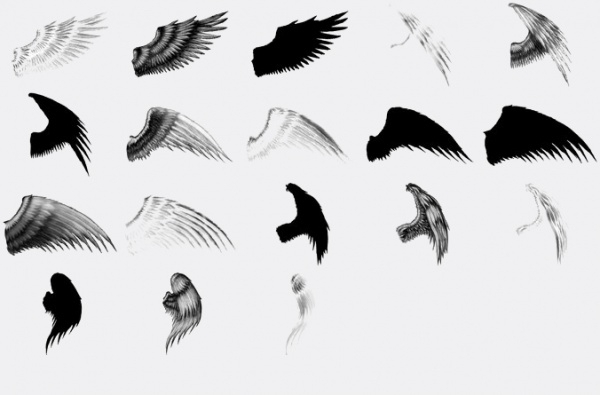 You can avail yourself these brushes and vectors of wings and use them to give your design a charming appeal. 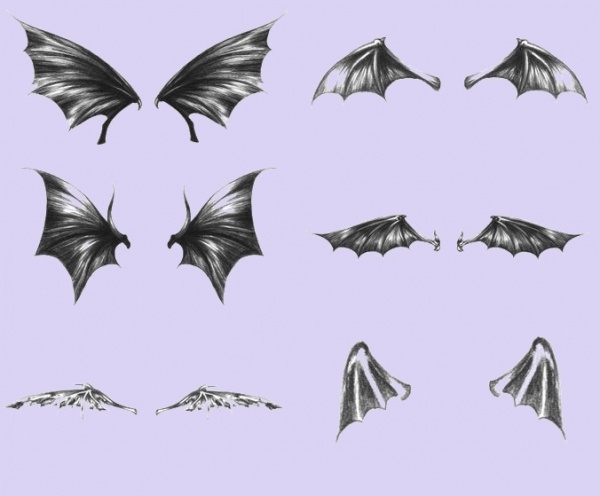 This illustration has a different type of wings that feature different detailing and pattern. 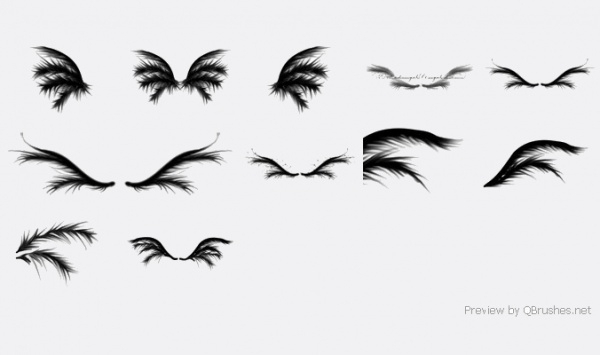 These wing brushes will help you design better. Elegance is the highlight of this set of wing brushes that are craftily designed for artists. Using them in your design projects will earn you more value. 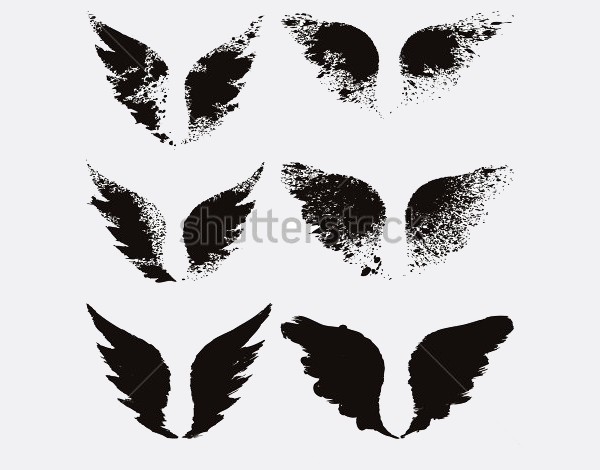 These wing brushes look very charming and can be easily downloaded. The variety of wings will give you a lot of options to choose from. 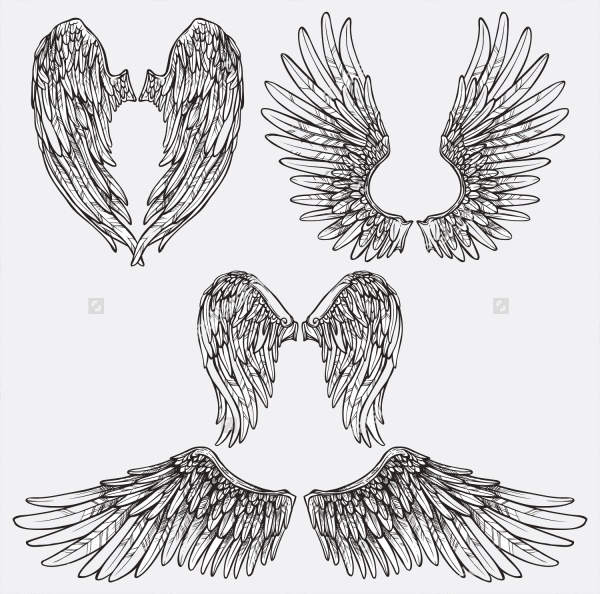 One of the most popular designs among wings is the flame wings. This brush is used in a variety of designs, especially in logo making. 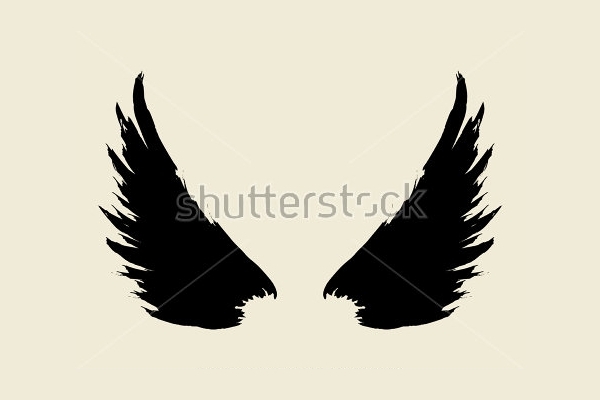 The beauty of this design makes it one of the most favoured vectors in wings. With this brush, you can recreate the beauty of flame in wins without too much effort. 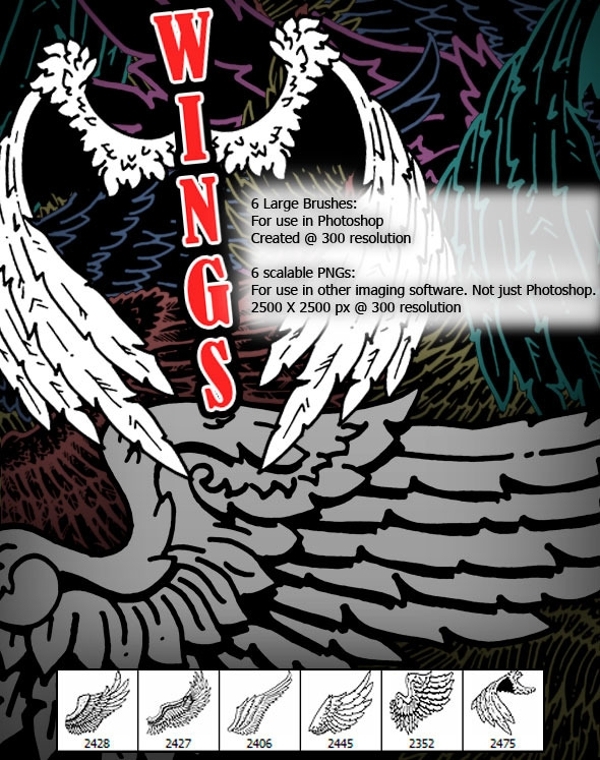 Rekindle your imagination and give fire to your design flair by suing this wonderful grunge wings brush. The texture of this brush is wonderful and the grungy effect in the design makes it a treat from the design perspective. When it comes to wings brush, the more detailing, the better is the brush. 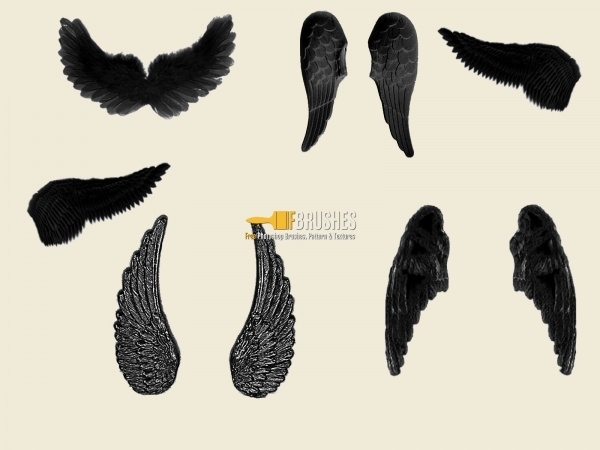 In this regard this detailed brush will appeal to designers as it features intricate detailing of the wings. This brush is available in PS format and comes with a set up guide. 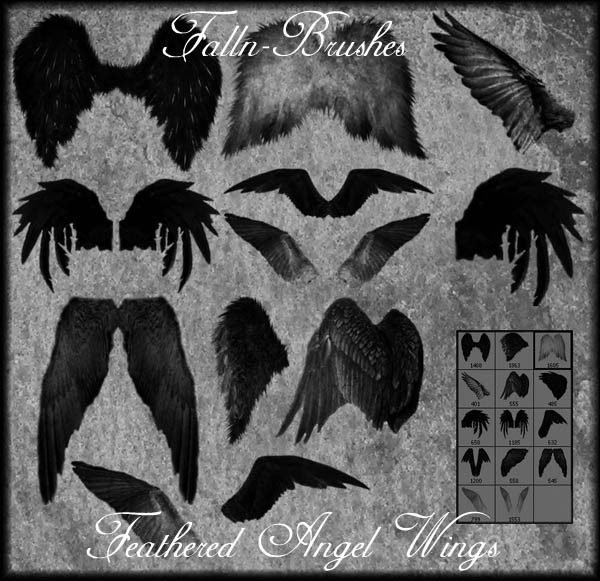 This seamless brush will definitely appeal to designers as it features a seamless feathered wing. The design has a hand drawn look with an ornate background which gives it an endearing appeal. Eagle is a bird that is endowed with mighty wings in the bird kingdom. Using these mighty wings this wing brush is created which has a majestic look. This high resolution brush is available in PNG format and can be edited in Photoshop. 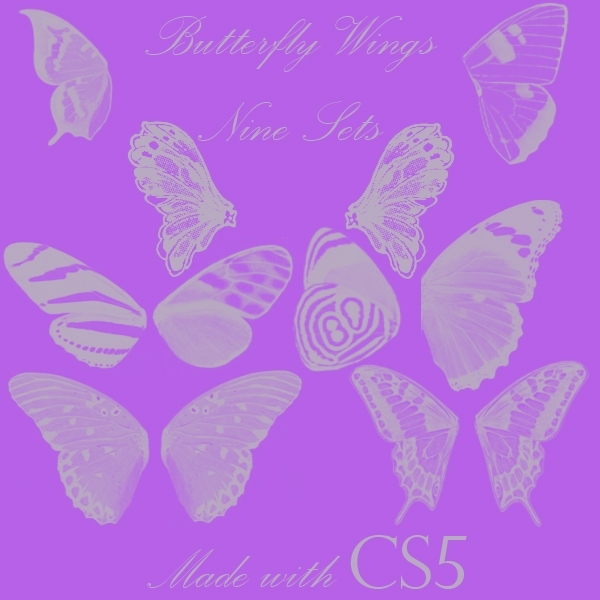 This set of beautifully crafted tribal wings will impress anyone in the first glance as the design is spectacular. It features high resolution wings, each of a unique design and flaunting wonderful design elements. 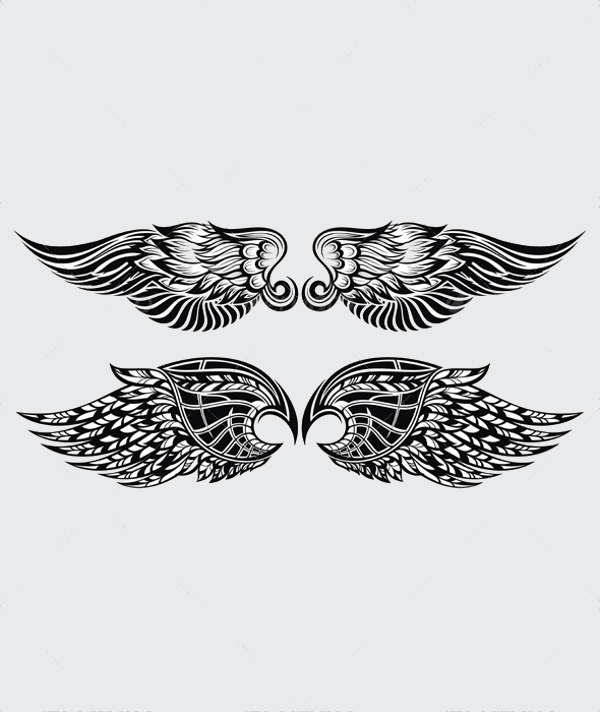 This wing brush is good as a tattoo design as it does not feature intricate detailing. 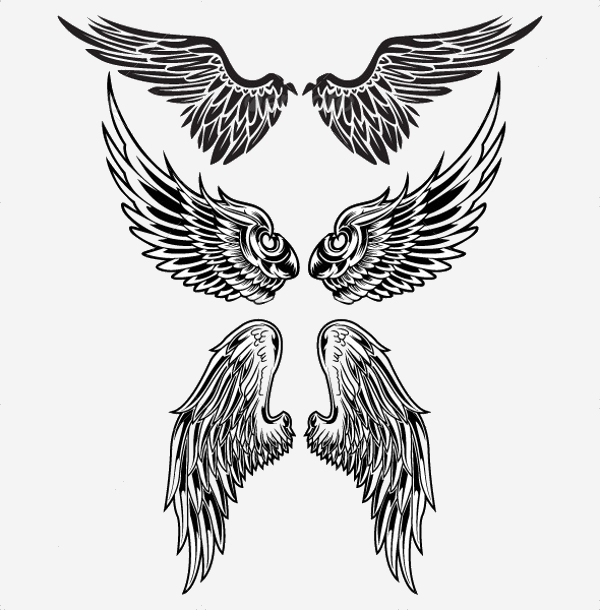 This design is commonly used among designers as gothic wings are quite popular among the youth. You can download this Photoshop brush for your design projects. 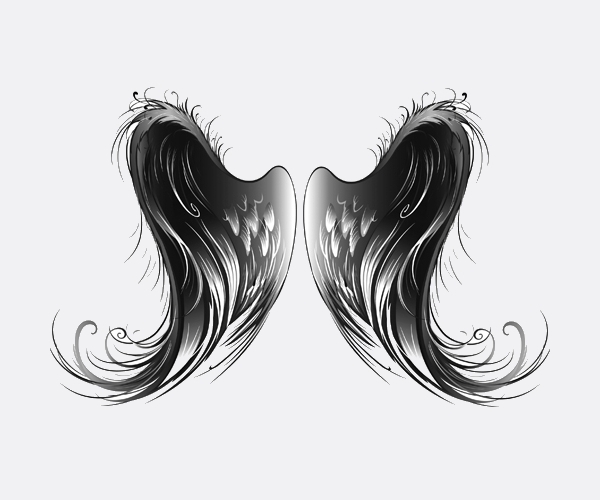 Wings brushes come in a variety of design and since they can be improvised in Photoshop, you can tweak them and create your own vector. 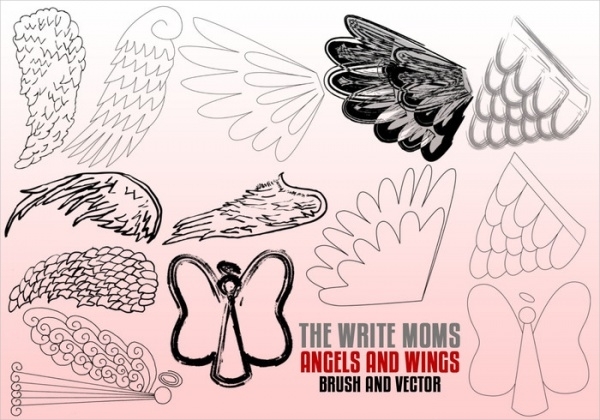 The visual language of the wings brush is lovely which makes it a popular design tool. 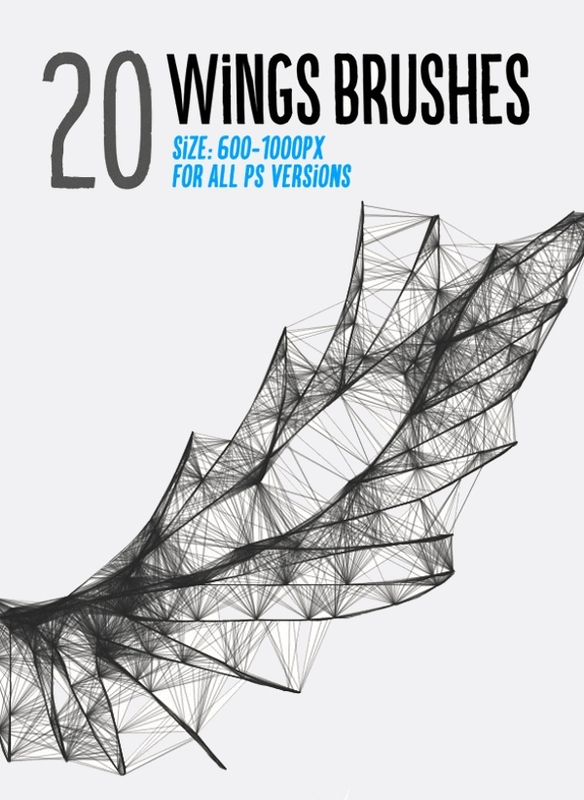 You can download different patterns of wings brushes and use them in your projects.